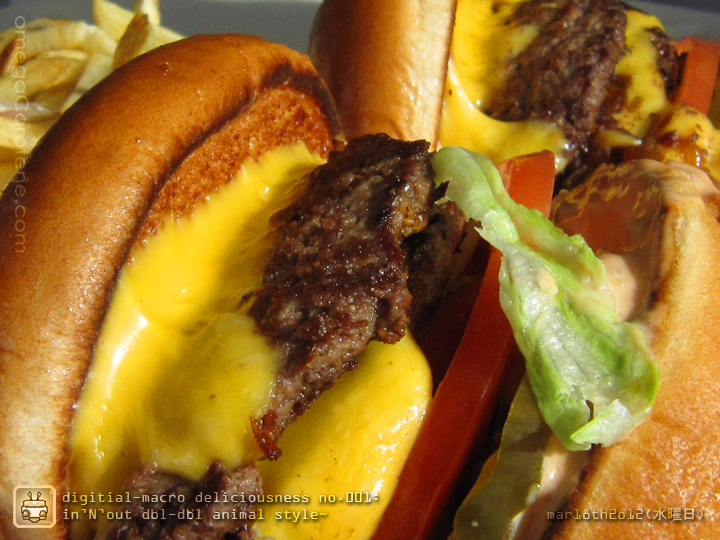 Sometimes, nothin’ else quite satisfies you like a nice, juicy cheeseburger. It’s not exactly the ideal gaming food, and definitely not something you’ll want to eat while driving, unless having greasy morsels of beef and bits of lettuce falling in your lap is your idea of enjoying a meal; in my opinion, any good burger is one that will inevitably get messy while you eat it. 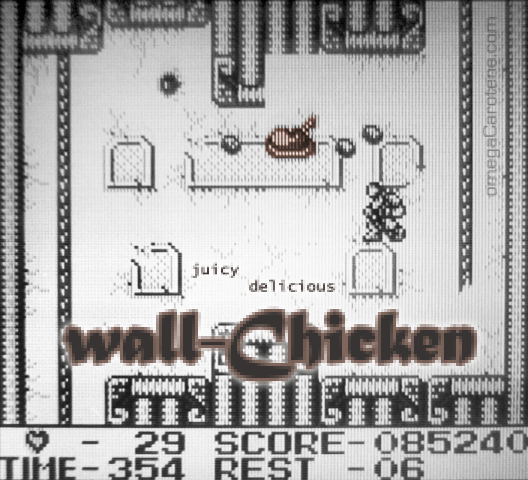 If one is truly hell-bent on mixing gaming and gastronomic activities (and i’m not talking about wall chicken*, either), one solution includes using a fork + knife + plate. But that’s no way to really dig into a sauce-dripping, succulent burger, as many games require two hands to be played properly, and those that ones that can be operated by waggling a single Wiimote…almost don’t qualify as games. At least not ones really worth my personal time. When it comes to gaming & snacking, one could also consider options like eating sliced fruit or chopped meats (i love dry salami and coppa!) with a fork, or even potato chips with chopsticks. Yes, i’ve done that before. ‘Cause greasy controllers are just…wrong. But, back to the picture-related topic: in my mind, a good burger should always contain some crisp lettuce and sliced tomatoes sandwiched between the [ideally] lightly toasted buns along with the melted cheese and savory beef patties. The veggie & fruit help balance out the flavors, providing a cool & crisp contrast to the salty greasiness of the ground beef…not to mention that they add to one’s diet some small amounts of dietary fiber and lycopene. Aesthetically, the edible flora also add some delightful reds and greens to usual meaty textured-browns and shiny yellows. While cheeseburgers are quite a different animal from the dishes in Taiwanese cuisine, i believe the concept of “色，香，味” (literally color, fragrance, flavor ) also apply, with “color” referring to the visual aesthetic appeal of a dish. Btw, while writing this, i’d not only salivated profusely (something which my keyboard can attest to), but also found a cool lil’ blog with some tasty burger tips (amongst other food-themed wordery). In-N-Out Burger joints are available in California, Arizona, Nevada, Utah, and Texas. * Fans of the pre-Symphony of the Night Castlevania games are likely familiar with this gravelly and inexplicably situated, yet oddly nutritious HP-replenishing item.